The Art Caravan | Art along the way…. The Art Caravan hasn’t travelled to Manitoba this winter, but if it does, I will search out this site specific art installation by Jaime Black, a multi-disciplinary artist. 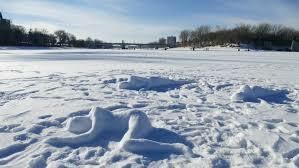 Her snow sculptures on the Red River, at the heart of Winnipeg, remind us of the many murdered and missing indigenous women in Manitoba and Canada. This impermanent installation follows her 2014 The REDress Project which also addresses the tragedy of murdered women. Here is a brief report (and more images) from the CBC, wherein Ms Black explains her motivation for the project, and her hope to add to the artwork. The caliber of her work reminds me of the noted Chinese artist, Ai Weiwei, who also creates intelligent, beautiful responses to disturbing events and situations. This entry was posted in Ai Weiwei, CBC, Jaime Black and tagged Ai Weiwei, CBC, Jaime Black on January 14, 2019 by terryvatrt. 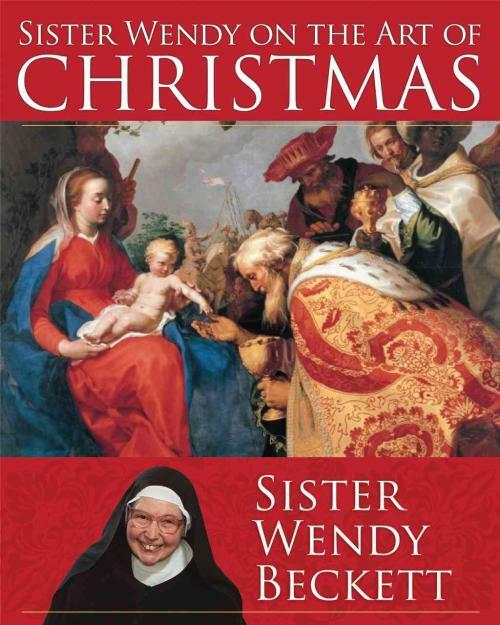 These 12 days of Christmas I’ve been enjoying Sister Wendy on the Art of Christmas. 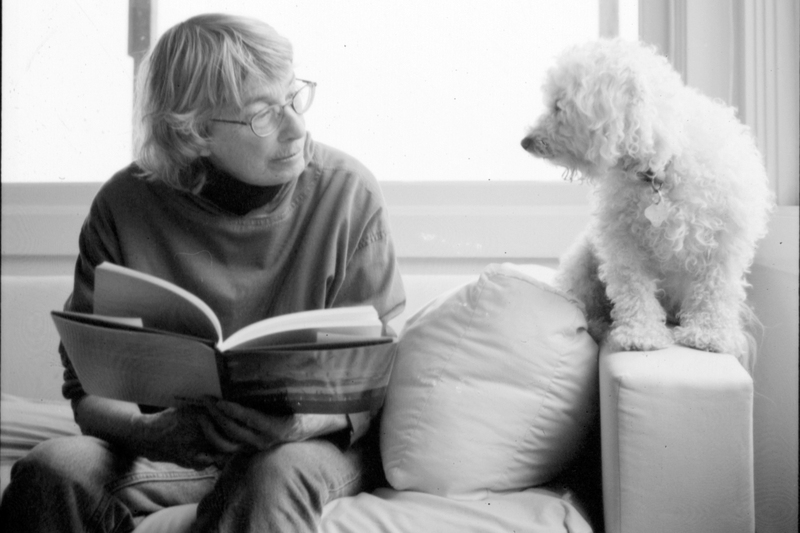 It was a bit of a shock this morning to read that she died this week, on December 26, 2018, at 88 years of age. Sister Wendy was a Carmelite nun, art critic and popular television host who ably shared her gifts with the world. Click here and here for brief reports from the BBC and CBC. This entry was posted in BBC, CBC, Desert Island Discs, Sister Wendy Beckett and tagged BBC, CBC, Desert Island Discs, Sister Wendy Beckett on December 28, 2018 by terryvatrt. I’m hope it’s obvious that The Art Caravan values creativity, but strives to be discerning in its observations and judgments. So, yes, I may be that person you see in a theatre or concert hall sitting down amidst a sea of people giving a standing ovation at the end of a performance. The other evening I found myself enthusiastically jumping to my feet at the end of the play, True Crime. I was so focused on congratulating the solo performer that I didn’t notice if anyone else was standing. 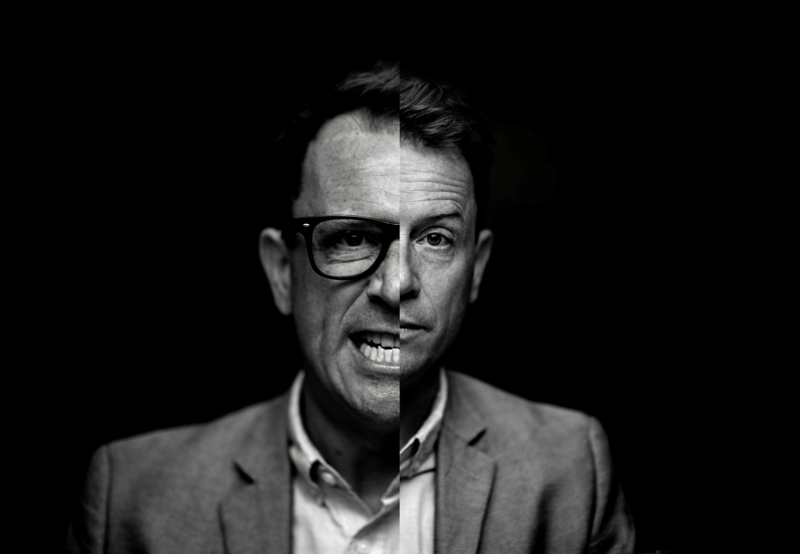 True Crime was both co-created and performed by Torquil Campbell. Therein lie the reasons for my standing ovation. The writing is smart, original and intriguing. The premise of the play is based on the story of Campbell’s personal fascination with Christian Gerhardsreiter, a contemporary con man who impersonated a Rockefeller for several years. True Crime cleverly explores ideas about reliability and reality, motivation and values. Campbell’s performance was almost breathtaking. He convincingly played a variety of characters with distinctive accents as well as singing original songs. (He is also a member of the bands Stars and Memphis. Click here for a music video of Memphis.) He commanded the stage for a full ninety minutes. But don’t just take my word for it. Click here to read a Toronto Star review of the play. True Crime played for a few nights in Victoria, British Columbia as part of the excellent Spark Festival, an annual event of plays, workshops and events at the Belfry Theatre. Spark continues until March 28, 2018. This entry was posted in Belfry Theatre, Spark Festival, Toronto Star, Torquil Campbell, True Crime and tagged Belfry Theatre, Spark Festival, Toronto Star, Torquil Campbell, True Crime on March 22, 2018 by terryvatrt. 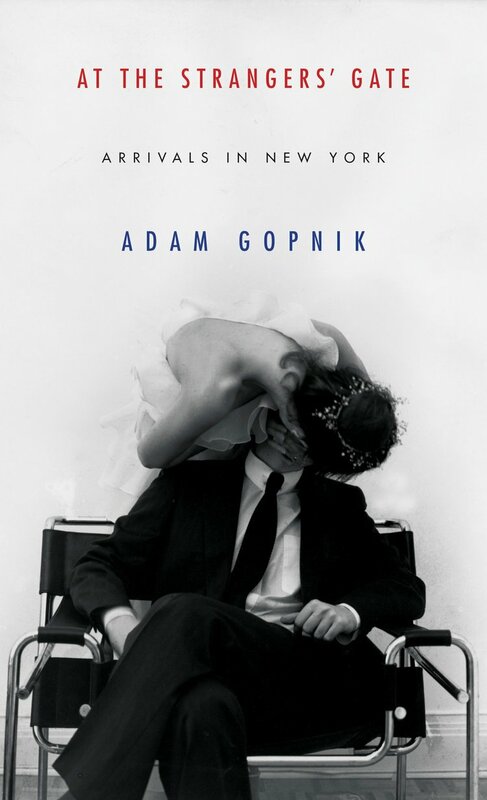 I just finished reading Adam Gopnik‘s latest book At the Strangers’ Gate: Arrivals in New York. 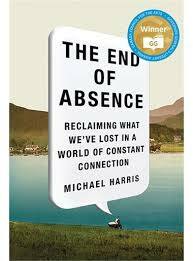 For anyone interested in art, and particularly contemporary art, I encourage you to read it. Let me just say, however, that there may be some bias at work here. I’m a huge fan of Gopnik’s writing. I find it easily accessible , despite his knowledge and creative thought that far surpass my capabilities and capacities. He is a superb essay writer: in Paris to the Moon, the book about his family’s years living in France, he ably discussed politics, philosophy and history, while grounding the narrative in the quotidienne-his daily life with his beloved, Martha and their children. In the chapter SoHo, 1983 Gopnik begins by recounting the story of how he and Martha were able to secure an apartment in SoHo. It remains the strangest and luckiest thing that has ever happened to us. He reports that… The SoHo we moved to in 1983 was still a village, a village of art. He makes the case that New York, and specifically SoHo, was the art capital of the world in the 1980’s. He discusses how the art produced was a product of its environment, and, of course, the cultural and economic influences of the decade. He provides an insider’s view of the era with engaging physical descriptions and anecdotes: This is how a Saturday morning in SoHo would unfold in the middle years of the 1980s…… you would inevitably bump into friends, eyes set professionally aslant from the work of looking, and exchange a warm greeting and a few terse words about the things just seen. It’s his reflections about the art and art making, the dealers and buyers, and, really, the meaning of art at a specific time, in a specific place, that are most insightful. 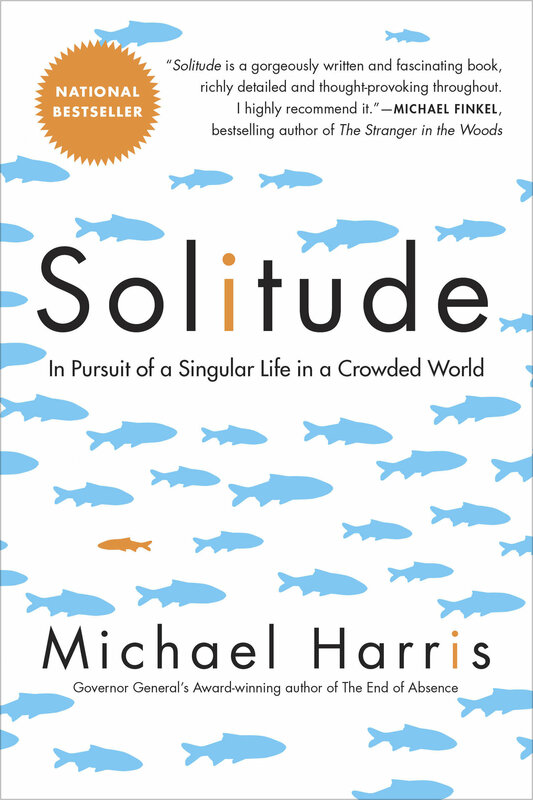 The social life of those Saturday mornings was at least as important as the chance for solitary looking. All art serves a double function, and the double function of American visual art by the eighties was as both a mark of generational identity and a luxury good for the wealthy. At the Strangers’ Gate serves a double function, too. It’s an entertaining, amusing read (you won’t want to miss the candy factory story) as well as an insightful analysis of art, artists and culture in North America. This entry was posted in Adam Gopnik, At the Strangers' Gate, contemporary art and tagged Adam Gopnik, At the Strangers' Gate, contemporary art on January 30, 2018 by terryvatrt.